Samsung Galaxy Buds were announced alongside the all-new Galaxy S10 series. Samsung promises Android users a premium experience with a Samsung phone. It also works well with Android devices. 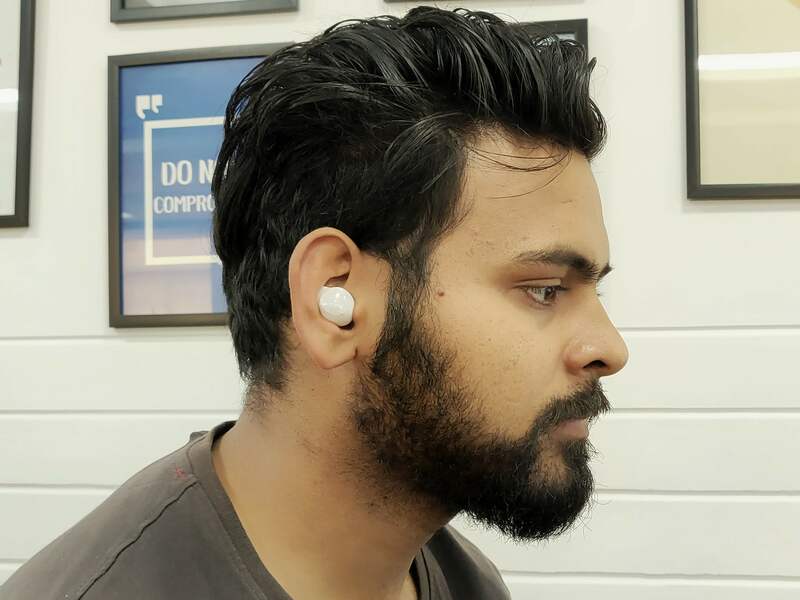 I recently tested it with and here is my review of Samsung Galaxy Buds. 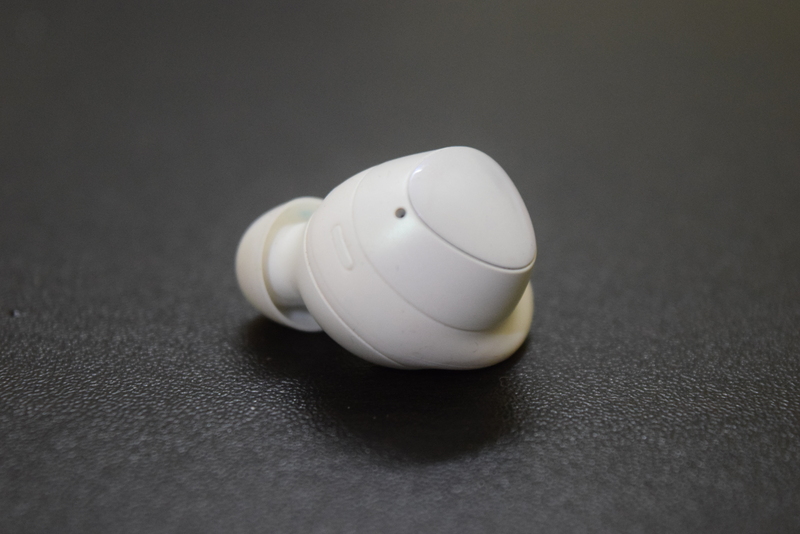 Samsung Galaxy Buds look really good in all-white design. It sports all-plastic design and comes in a lightweight profile. Both earbuds have subtle rubber wingtips for offering a secure fit. You also get additional small, medium, and large wingtips and ear tips so you can easily get a combination that fits in your ear. The default ear tips were the perfect fit for me. It never came out for my ears even during running. 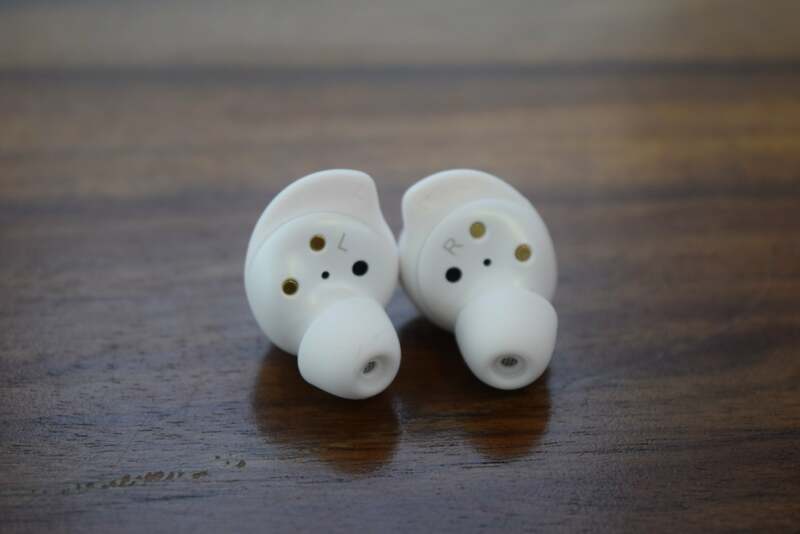 The outer panel of each earbud is touch sensitive that is used for controlling few things like a single tap for play or pause music, double tap for next track or answer calls and triple tap for previous navigation. You can also press and hold to activate the phone’s voice assistant. In case you want volume control, you can use the Galaxy Wear app to reconfigure touchpad actions. Earbuds come with just an IPX2 certification. It should be enough for workouts, but you should still keep it away from water splashes to avoid any damage. 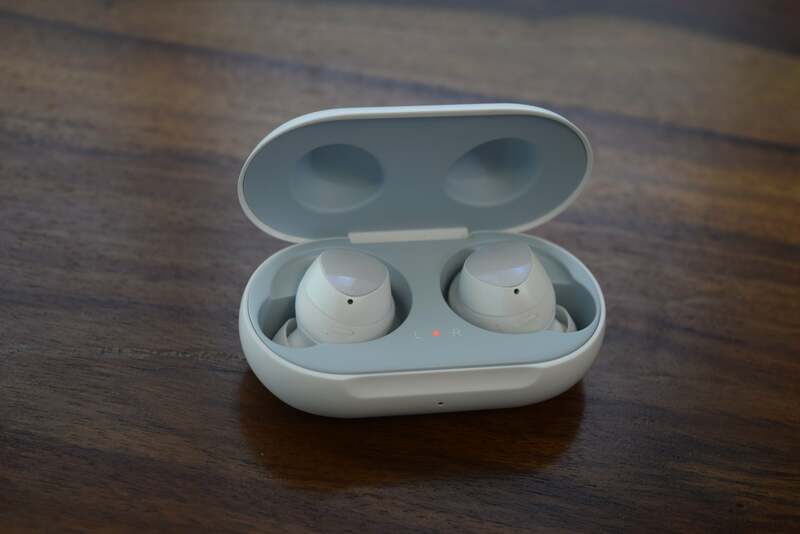 The charging case is a pill-shaped and has magnetic docs for both earbuds. It has an LED on the front to show battery life. At the back, it has USB-C charging cable. Pairing it with a phone is simple. After one time setup, it automatically connects to your phone quickly if Bluetooth of the phone is on. Galaxy Wear companion app lets you check the battery level of each earbud and lets you configure a few things. You can use the equalizer in the app to get the desired music experience. If you want notifications on your earbuds, you can enable it. You can also select what apps can send you notifications. You can also turn on the ‘Ambient Sound’ feature from that app will also mix the background noise to the music. When you are not listening to music, it will deliver you a clear sound of your environment. So, that you don’t miss anything happening around you. Even while listening to music, you will stay alert to environmental noises. But that also mixes the ambient sound of winds that make an uncomfortably shrill whistling sound. But you can turn it off any time. Earbuds come with dynamic drivers tuned by AKG. So, earbuds reproduce good sound to give you excellent music experience. Galaxy Earbuds perform excellently with Samsung’s latest devices, but music experience is not the same with non-Samsung Android phones. The reason is the lack of aptX support. Samsung has implemented its that is compatible with limited Samsung phones. Much like Aptx Adaptive, this codec is optimized for good sound quality and stable connection. I tried several kinds of tracks from Indian classical to hard rock and the earbuds didn’t disappoint. I was impressed with the detail and clarity of vocals without missing music details. Bass performance is also good and you can even feel the sub-bass thumping. 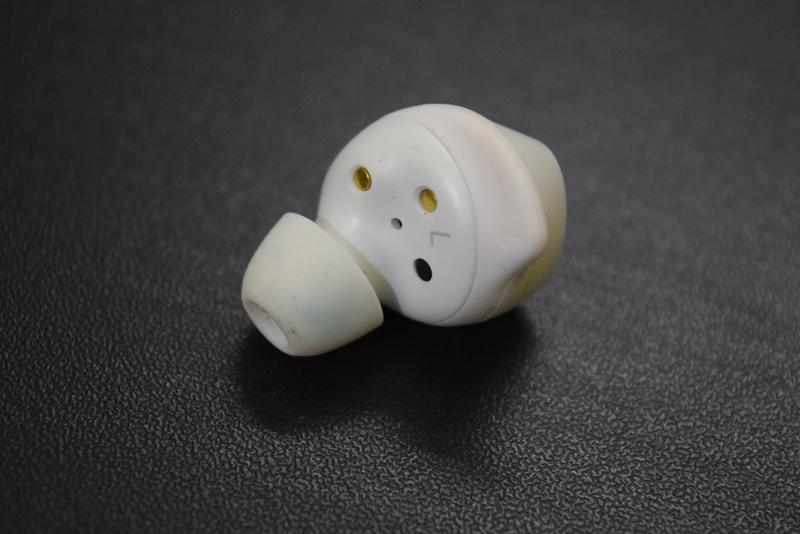 If you are using the right earbuds, you will get a proper isolated environment without any disturbance from surroundings. Samsung claims that the Galaxy Buds come with dual mics for picking a clear voice. In my usage, I found it to be working as promised in most of the cases. The person on the other side will listen to you properly, but the voice could have been a bit louder. If you are in a noisy environment, it picks up the noise. If you are around blastic music, then another person on call won’t get your clear voice. But that’s not possible even with the phone. So I had a mixed experience with calling. Samsung estimates the battery life to be around six hours and that’s the same I get with the pair of earbuds. The case holds an additional 6 hours of battery life. That means you can charge earbuds 100% once with the case. Battery life may vary depending on volume level and you may get better results if you usually listen to music on low volume. The case can be charged using a Type-C cable. It also supports wireless charging, so you can use any Qi-compatible wireless charging pad for charging it. Samsung’s true wireless earbuds ‘Galaxy Buds’ are excellent and delivers good music experience. It looks good and performs as per claims. Mic also performs well. Battery life is also the same as advertised. If you have a Samsung phone. Galaxy Buds are a fantastic pair of true wireless earbuds for you. Even if you don’t own a Samsung phone, you can give it a try, but you may miss its best experience. 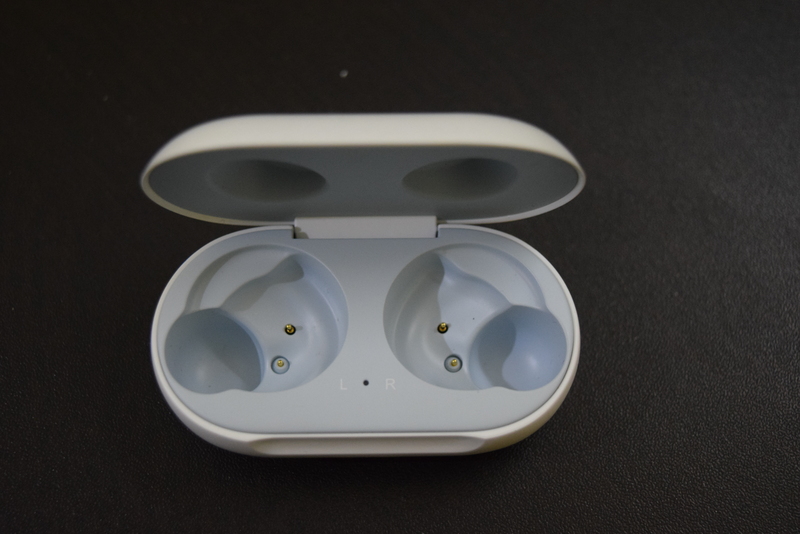 "Galaxy Buds delivers excellent music experience at a reasonable price"